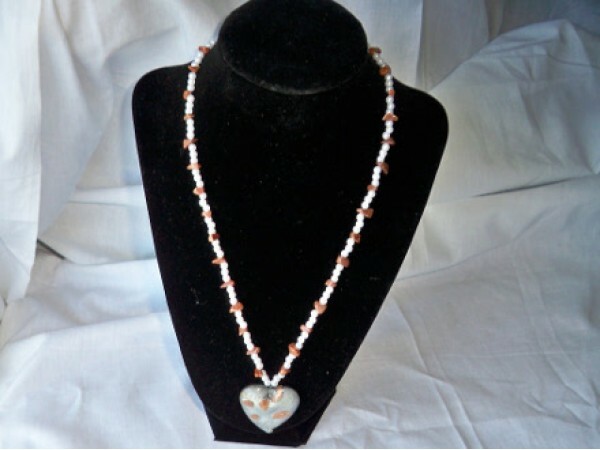 This lovely necklace is created from Goldstone gemstone chips and small white pearls surrounding a white glass heart pendant with coppery markings. It fastens with a barrel clasp and is approximately 21 inches long. 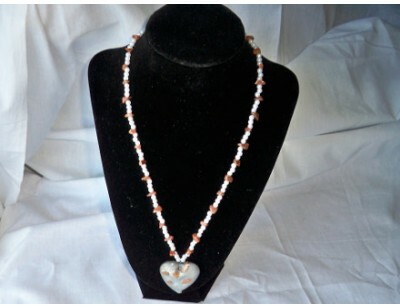 A beautiful addition to your jewelry wardrobe. 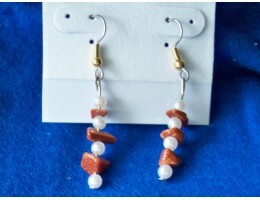 These lovely earrings are made from small pearls and Goldstone gemstone chips. They are light ..